Italy’s exceptional food, beautiful climate, medieval badassery and lovely population are some of the reasons why the country has grown to be one of the most sought-after tourist destinations in the world. The country is undoubtedly unique in its beauty and I feel privileged to have spent some years of my life in its extraordinary countryside. Unlike many countries, Italy houses some of the most beautiful architectural edifices in the world. Moreover, some cities in Italy are set in rocky mountainside ultimately creating a phenomenal picturesque that is peculiar only to this region of the world. Do you know that Italy is surrounded by three different seas: The Mediterranean, Ionian, and Adriatic? As a result of this unique geography, fast running and beautiful rivers carve through some of the most beautiful places in Italy and make way gorgeous landscapes in these Italian cities. 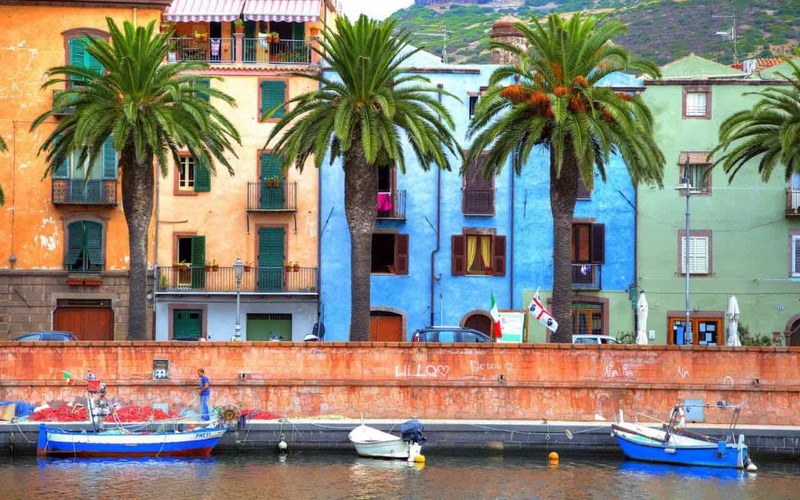 Cinque Terre, a town of five villages is one of the iconic highlights of Italy’s western coastline. 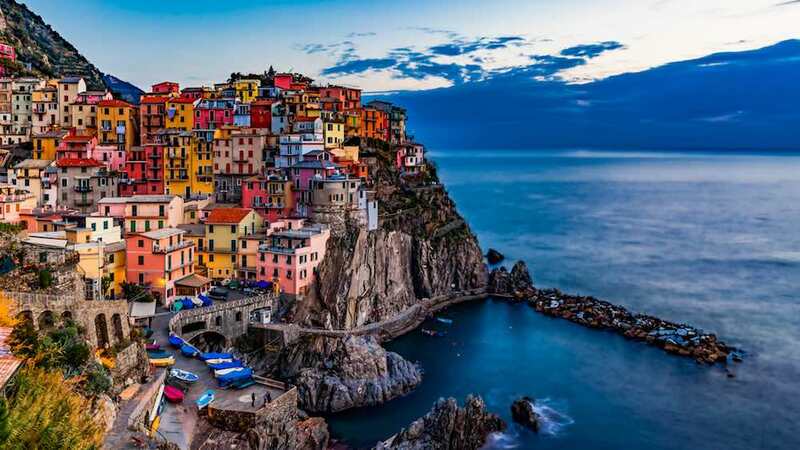 The five villages namely – Riomaggiore, Manarola, Corniglia, Vernazza, Monterosso are isolated from the rest of Italy by the surrounding looming mountainous cliffs. This picturesque location is best accessible by train. Each village offers a unique perspective of Italy’s emerald green waters and cliffs, so it serves well to make time to visit all of these villages. The birthplace of Rennaissance, Florence undoubtedly garners a place in Italy’s most beautiful places with its historic buildings and piazzas. 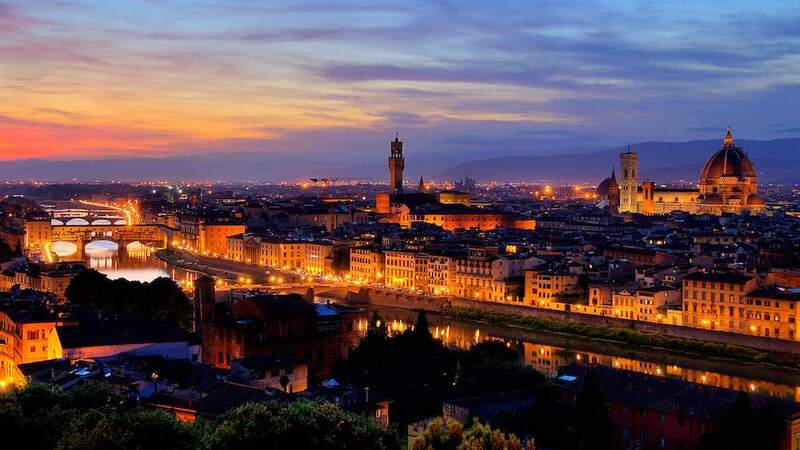 Located in the Tuscany region, Florence with its overload of art culture is going to impress any art lover. Considered one of Italy’s famous landmarks doesn’t make Venice any less beautiful, but more touristy perhaps. 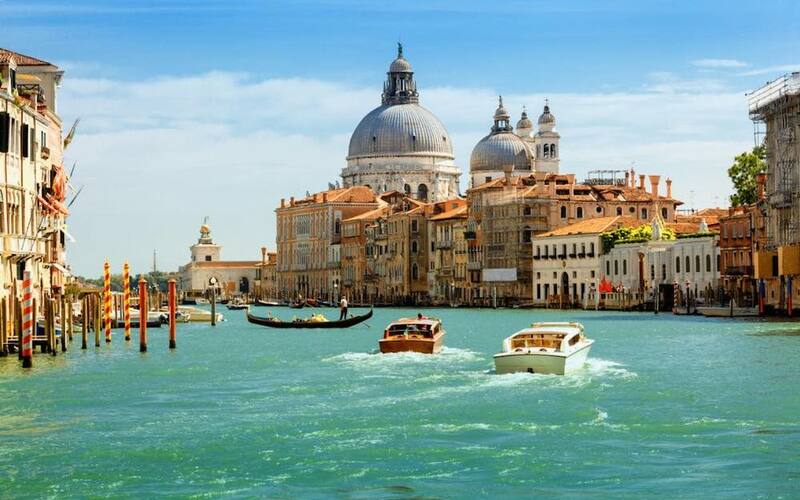 Apart from its beautiful churches, St. Marks square and the Venetian carnival, what sets Venice apart, undoubtedly is its canals. Imagine gliding through the canals in Venice in one of the gondolas all the while indulging in the stunning views of the town. Makes you want to go there, doesn’t it? There is so much history in every part of Italy and Verona is no different. 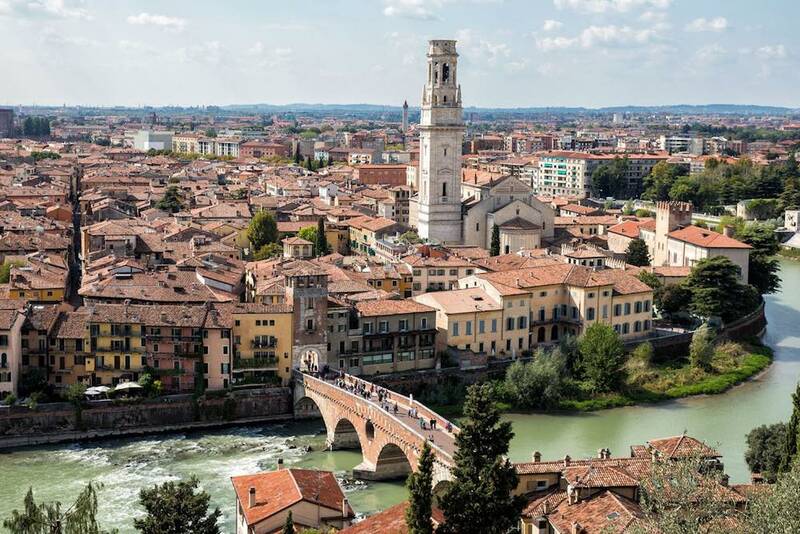 Well known as a location where William Shakespeare set Romeo and Juliet, however Verona has so much more to offer than that. Verona with its historic churches, and piazzas, and castles no doubt makes it to most beautiful places in Italy. The second largest island in the Mediterranean, Sardinia has everything Italy is known for and more. Be it art or delectable dishes or crystal clear beaches or volcanic terrains, or dazzling cities, whatever you are looking for, you are bound to find it in Sardinia. This picture perfect island which is home to over 7000 ancient archaeological sites, effortlessly makes it to the list of most beautiful places in Italy. True to its UNESCO designation, Siena is the embodiment of the medieval city. Well known for its horse race – il Palio, Siena is one of the lovely Tuscan towns not to be missed while visiting Italy. It will be a sin if Rome is not included in Italy’s most beautiful places. With its innumerable churches, historic sites, and ruins, Italy’s largest city is a treasure trove for a history or art lover. If you are spending a few days or few weeks, you are bound to feel that you haven’t soaked in the essence of Rome. Such is the appeal of Rome, and there won’t be any dearth of locations to visit in Rome. Located in the south-east corner of Italy in Puglia region, Alberobello has to be Itlay’s most unique town. It stands out for its trullo buildings – whitened dry stone huts with pointed roofs. Indigenous to this part of Puglia, Alberobello is a UNESCO world heritage site. With awesome attractions like the Sorrento Peninsula, Marina Grande, and the Amalfi Coast, this coastline should be on everyone’s list of the most beautiful places to visit in Italy. Famous for its lemons and limoncello, Sorrento has much to offer its visitors and makes for a great base from which to explore the region. Pompeii (the town which was buried by Mount Vesuvius’ volcanic eruption back in 79AD), Herculaneum and Naples are accessible in one direction, and the Amalfi Coast in another. Legend has it that the waters of Sorrento used to be home to mermaid-like beings, who would seduce sailors to their death with their captivating voices. Perhaps these Sirens are still at it, but instead, they are singing a different tune today. This beautiful region is based on the heel of the Italian boot and it is famous for its delicious food, amazing culture, wonderful people and some of the most beautiful beaches in the world. Part of the charm of Puglia is the medieval village of Vieste, with its narrow streets and white houses, dominated by a stunning 13th-century castle. Whether you’re planning a family holiday in Italy or find yourself dreaming of a romantic Italian getaway for two, you’ll be able to find something for everyone as Puglia has some of the most incredible views that Italy can provide!